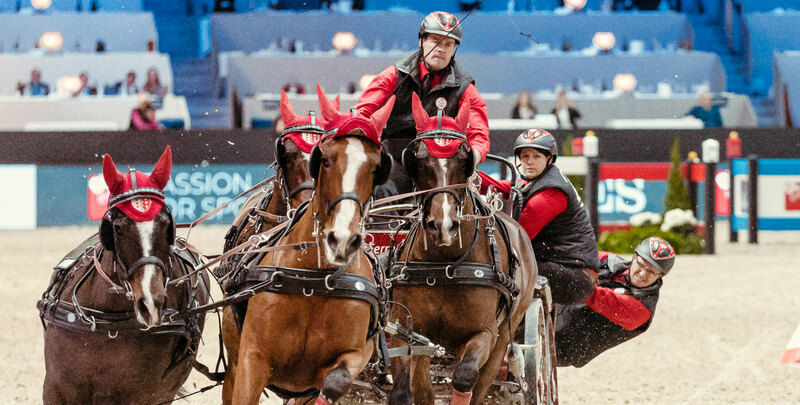 This weekend’s FEI Driving World Cup™ Final in Bordeaux will undoubtedly see lots of talk about the brilliant Boyd Exell and the fabulous four-horse teams. While we all recognise Boyd, what about the others on the carriage that make up the team? One of these is called the “Backstepper”. What are the Driving team roles? Each team has a navigator and a backstepper positioned behind the driver. Although casually they’re often grouped together as “backsteps,” “backsteppers,” or “grooms,” each team member has a distinctly different role to play on the course. The navigator, who stands between the driver and the backstepper, helps the driver negotiate the course, keeping track of which obstacle must be rounded next and assisting the driver with lightning-fast decisions in the event of an error or the need to reverse and repeat a segment. The navigator also holds the whip for the driver when it’s not in use. The backstepper at the rear of the carriage has multiple tasks as well. “I think of myself as crewman alongside the skipper and navigator,” says Hugh Scott-Barrett, backstepper for Australia’s Boyd Exell, who is currently defending his eighth FEI Driving World Cup™ title. The backstepper is also responsible for making sure no cones are hit on the obstacle course, which would cause the small ball positioned on top of the cone to fall, incurring four penalty points for the team. Watching carefully, one can see the backstepper giving the carriage a little bounce to stay clear of the obstacles or easing the carriage around the cones, which involves careful placement of weight and keeping an eye on both the inside and outside wheels. As if helping to manoeuvre the 675kg carriage weren’t enough, the backstepper also serves as a tactician, keeping an eye on the clock and the time to beat and letting the driver know if they need to speed up or can slow down, all in the space of just a few dizzying minutes! Hugh has been an integral part of Exell’s team since 2012. 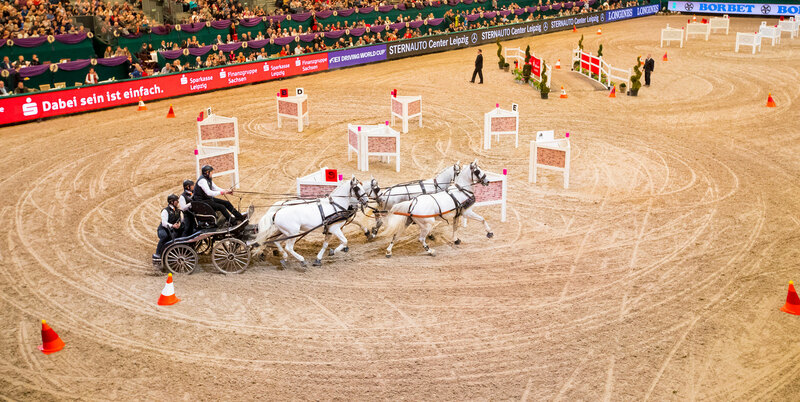 While it took a bit of time to get up to speed, so to speak, Hugh has gone on to participate in over 80 competitions and four FEI Driving World Cup™ finals, including last year’s win in Bordeaux alongside navigator Emma Olsen. The duo were also part of Exell’s gold medal team in Tryon at the 2018 FEI World Equestrian Games™. Many groom positions are filled by friends and family who are already familiar with the driver’s style and training regimen. Frequently they are assistants at the driver’s stables. 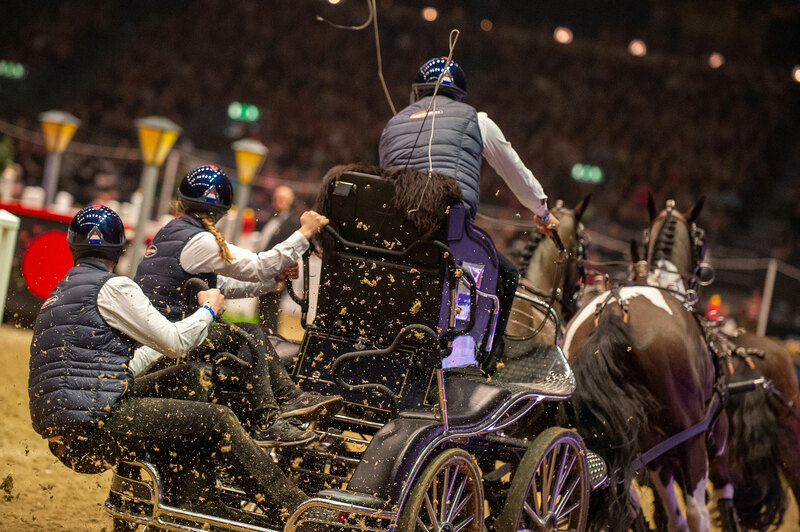 Sometimes they are even family members, like Lianne Chardon, who navigates for Bram Chardon, son of Dutch Driving superstar Ijsbrand Chardon, who himself teams up with his wife Paulien in the arena. Numerous other members of the Chardon family have crewed for Bram and Ijsbrand as well. When you look at the risk and dedication involved, it’s not hard to see why drivers often select these trusted individuals for their teams. Just a few months ago at Mechelen, French driver Benjamin Aillaud got his foot stuck under a pedal while rounding a turn and took a fall from his carriage. Without a second thought, his navigator Jérémie Biechel leapt into the driver’s seat, gathered up the reins, and brought the frightened team of horses to a halt. Hugh says he’s lucky to have come off the carriage only twice. The second time was “pretty spectacular,” as he recounts: “As I flew 8m in the air into a maize field, and the carriage, whose brakes had failed, slid into a post at full speed. It helps if the backstepper’s weight stays consistent, so the driver always knows how fast he can push without going up on two wheels. Scott-Barrett travels to the Netherlands to practice with Boyd Exell at the start of every season. To further stay in peak physical condition, several days per week he works with a personal trainer, who has become a true Driving enthusiast. “He has come along to several shows and, having observed the discipline up close, has devised training programmes tailored respectively to the indoor season (speed of movement and agility) and outdoors (much more endurance based), reflecting the fact that in my mind they each place quite different demands on the backstepper,” Hugh says. It’s not an easy schedule for Hugh to maintain as the chairman of two companies, while also being an avid promoter of Driving in the UK. The Scott-Barretts have sponsored two FEI Driving World Cup™ events at Olympia, in addition to numerous other programmes. “Driving has given me so much pleasure that it is great to be able to give something back to the sport,” says Scott-Barrett. He encourages interested people to take up the discipline and offers talks to help novice backsteppers cut a bit off the learning curve he experienced on the job. 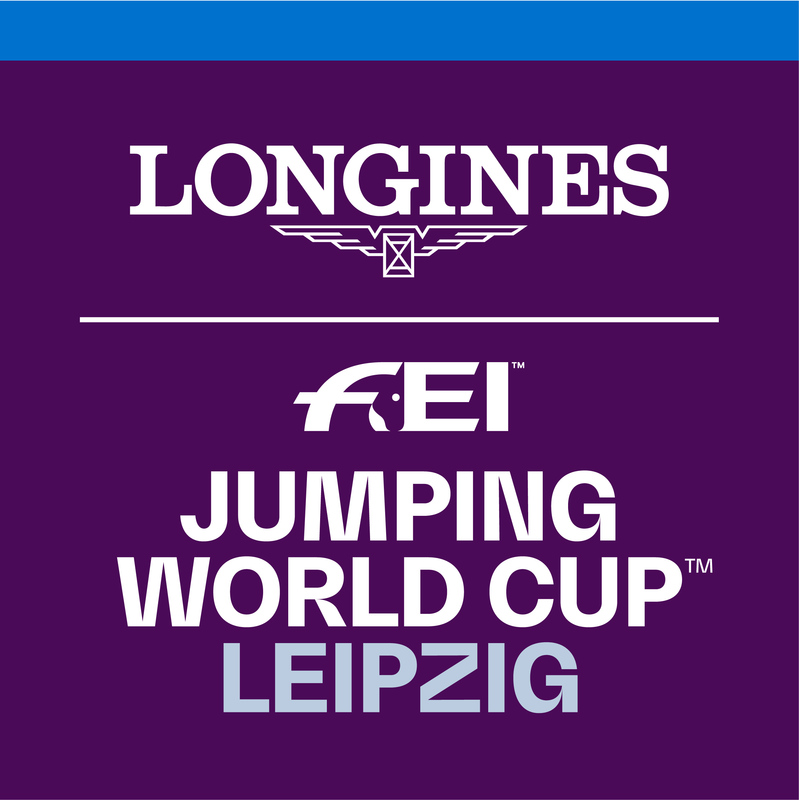 Watch the FEI Driving World Cup™ Final live from Bordeaux this Saturday and Sunday on FEI TV!